The Roots' Ahmir "?uestlove" Thompson and Tariq "Black Thought" Trotter. Photo by Chago Akii-bua. At some point, “The new Roots album is really good” became a cliché we’ve been taking for granted since the release of their fourth album, things fall apart, in 1999. They’ve since dropped six more gems, some better than others, but all so consistent and at times stunning in their quality that we’ve just become immune, desensitized, and unappreciative. 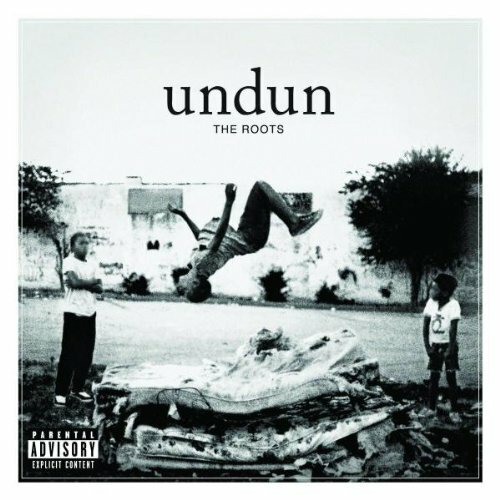 Oh, yea… The Roots have a new album. I heard it’s really good. 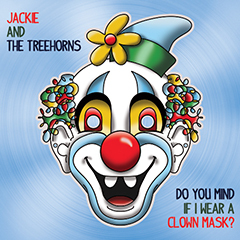 Every other year I find myself telling this friend or that about how great the new Roots album is, stressing its brilliance and begging to be taken seriously… feeling like the boy who cried wolf, except I’ve never lied. Their legendary live shows, their solid canon of classic studio albums, their recent high-profile gig as house band for Late Night with Jimmy Fallon… the bar has been set pretty high. And yet with each new release, as they continue to sail over that bar and raise it higher and higher, we shrug our shoulders and nod our heads and put The Roots on our year-end best-of lists and that’s that. 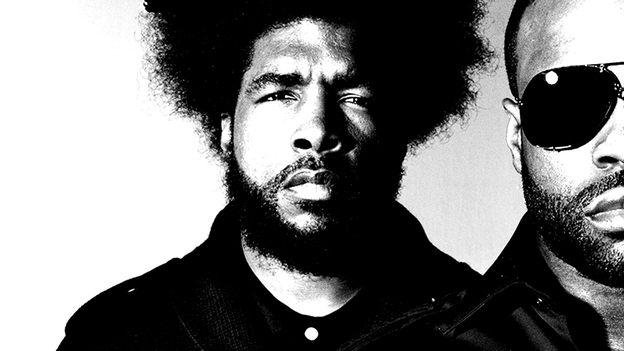 Since 1999’s things fall apart spawned the hit “You Got Me,” the Roots have quietly blessed us with a run of albums that could rival others entire careers, starting with the wildly eclectic Phrenology (what I call their White Album in how experimental and psychedelic it is) and continuing through The Tipping Point, Game Theory and Rising Down. These four albums over six years seemed to come and go, pure genius being ignored right out in the open. Then in 2010 came How I Got Over, a late-career classic. A “mature” hip-hop album that was still a banger, it was universally hailed as a masterpiece (and yet still probably shrugged off as “another great Roots album”). With their killer collab album with John Legend, Wake Up!, released on its heels that same year, I assumed How I Got Over might be their last album for a quite a while… And then at the end of 2011, bam!, they hit us with undun. And once again, they’ve outdone even themselves. As the press releases and subsequent reviews have said, undun is “an existential re-telling of the short life of one Redford Stephens (1974-1999),” a loose-narrative concept album told in reverse about the death of the fictional struggling everyman from the hood. It starts with the flat-line beep sound of his death and then goes back to tell the story of ghetto inevitability. After countless listens on repeat, I don’t see (or hear) it as “told in reverse,” as much as it seems circular. You can come in at any point and pick it up. It’s like a classic movie on cable, like Goodfellas, where no matter what part is on when you find it, you feel compelled to watch the rest even though you know how it ends. And when the instrumental suite that closes the CD ends…. it starts again with the flat-line beep, and before you know it you’re circling around for another turn with this all-too-familiar American tale of desperation and destiny… like the endless cycle of lives trapped along the poverty line. That’s the very first verse we hear from Black Thought. If I decided to quote any more of his brilliant one liners and verse-long portraits, it would fill this whole post. Just go read them, or better yet, submerge yourself in this record and hear a lyrical master at work, in both writing and delivery. His basic style/flow may have been birthed by the legendary Rakim a generation ago, but Black Thought absolutely belongs in any type of “Top 5 MC’s of All Time,” list/argument you want to make. He might not have the cultural impact of Tupac or Biggie; He’s been around for close to 20 years on record, but he’s not quite a pioneering legend like Chuck D or KRS-One; he’s not as flashy as Nas, Eminem, or Andre 3000. And while he’s undoubtedly benefited from the beats, production and leadership of ?uestlove, it’s also possible that Black Thought’s “legacy” is diminished cuz we just hail them as The Best Hip-Hop Group (by a mile) and we never quite give BT his due. Taken for granted once again. On this latest album, Black Thought is so concise, as plain spoken yet creative with his wordplay and metaphors as ever. Anchored by a revolving door of guest MC’s led by veteran Roots role player on the mic Dice Raw, Black Thought gets the most out of every line, no words are wasted, every rhythmic turn and lyrical phrasing complementing the beat as if it was actually part of ?uestlove’s drum kit. Like a great American novel, I hope that after all the accolades and Grammy nominations and glowing blog reviews, we all remember this incredible album, this snapshot of a society crumbling… with too many people “face down in the ocean, and no one’s in the lighthouse,” and too many others too busy watching the throne. Compared to it’s predecessor, undun is sonically stark, but still extremely effective. Musical storytelling that paints pictures behind the stunning verses. If they’d never sent out the blurbs about this being a “concept album,” we still would have picked up on the cinematic vibe. It’s like the kind of movie that makes you fall in love with movie making again. And while this particular one has sadly played out in American streets over and over again, undun will still be worth revisiting and repeating for years to come. Undun is not just “another great Roots album,” (though it is that). 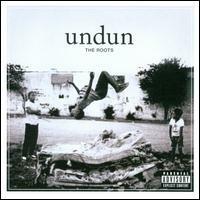 It reminds you that albums are an art form and luckily artists like the Roots are still making them.